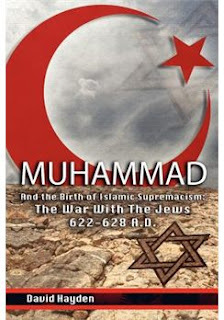 Frontpage Interview’s guest today is David Hayden, the author of the new book, Muhammad and the Birth of Islamic Supremacism: The War With the Jews 622-628 A.D.
FP: David Hayden, welcome to Frontpage Interview. Let’s begin with what motivated you to write this book. Hayden: I’ve always had a keen interest in history, but my knowledge of Muslim history was quite deficient until the attacks on the World Trade Center and Pentagon, and the failed attack on the White House on Sept. 11, 2001. I wanted to understand the ideas and motivations of the attackers. Powerful ideas had to support such a brazen attack on civilian populations. All of the suicide attackers were Muslims. What was it in their belief system that persuaded them that such heinous acts were the moral thing to do? To answer such questions I began a search to learn everything I could about Islam. I read well over 100 books about Islam including 14 biographies of Muhammad, theQur’an, numerous hadith (especially Bukhari, Muslim, and Dawud), several tafsir (commentaries on the Qur’an), Muslim and non-Muslim historians and commentators, and countless articles from both print and online sources. FP: So what did you learn and what is your book primarily about? Hayden: The research led me to focus on Allah’s revelations and Muhammad as the messenger and enforcer of those revelations. Without both the revelations and the messenger the idea of Islamic supremacism would not exist. A detailed study of the Qur’an, hadith (collected sayings and actions of Muhammad, and sira (early biographies of Muhamad) led me to this conclusion. I focused on Muhammad’s contentious relationship with the Jews of Medina and the Hejaz region of Arabia because this relationship brings into focus the birth of the idea of Islamic supremacism. FP: What is different about your book from other books on the subject? Hayden: I have not encountered another source which has covered Muhammad’s war with the Jews with the same thorough depth and breadth as I have. The book is filled with the voices of Allah, Muhammad and his companions, commentators on the Qur’an, poets, warrior/jihadists, Muslim and non-Muslim historians and commentators. A variety of points of view are presented throughout the book as well as my interpretation of these differing views. FP: Tell us about your research. What are some of the sources you drew most heavily from? Hayden: As stated above, I relied heavily on the Qur’an, the hadith (especially Bukhari, Muslim, and Dawud; the three most respected collectors of the hadith); and the biographies of Muhammad (especially Ibn Ishaq, Martin Lings, Muhammad Husayn Haykal, al-Mubarakpuri, Ibn Sa’d, Maulana Muhammad Ali, Maxime Rodinson, W. Montgomery Watt, Robert Spencer, Karen Armstrong, Sir John Glubb, M.J. Kister, and Gordon Darnell Newby). FP: Crystallize for us the foundations of Islam. Hayden: Islam’s foundations begin with Allah’s revelations to his messenger. According to Orthodox Islam the Qur’an has always existed and can never be changed. Islamic law, the Sharia, has to conform with the Qur’an and the Sunna (the hadith and sira, both of which must conform to the Qur’an). Support for the idea of Islamic supremacism can be found in all three of these documents. Pious Muslims involved in violent jihad base their beliefs and behavior on these documents. FP: Share with us how you recovered the historical truth of Mohammad’s war on the Jews and how it marked his rise to power. Hayden: I tried to find the historical truth of Muhammad’s war with the Jews through persistent research of the sources. In each of the major points of contention during the 622-628 years, Allah through revelations and Muhammad through his words and actions tend to place the blame on the hypocrites, poets, pagans and infidels in general, but the Jews primarily received the brunt of Muslim attacks on its enemies. Jewish poets, Asma Marwan, Abu Afak, and Ka’b Ibn al-Ashraf, criticized Muhammad for causing the battle of Badr by his failed attempt to raid a wealth-laden caravan returning from Syria; Muhammad had them assassinated. 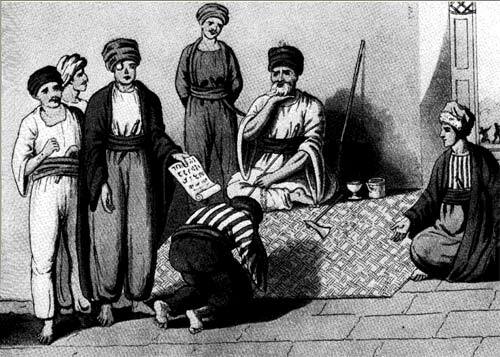 The Jewish Banu Qaynuqa tribe was accused of treachery and mockery of Muhammad; he had them exiled and their wealth confiscated after they surrendered. The Jewish Banu Nadir tribe was accused of plotting to kill Muhammad (with flimsy evidence); Muhammad commanded them to leave “his country.” They refused but surrendered after their castles were besieged by the Muslims. They, too, were exiled and their wealth confiscated. The Jewish Banu Qurayza tribe tried to remain neutral during the Battle of the Ditch between the Muslims and the Meccan-Jewish-Ghatafan confederation, but reluctantly agreed to help due to the persistent urging of a Banu Nadir leader. But the sources show no evidence that they actually aided those who were trying to defeat the Muslims. After a Muslim victory, Muhammad had the adult males of the Qurayza Jews beheaded and their women and children enslaved, plus all of their land and wealth were confiscated. A year later, Muhammad attacked the Jewish settlements at Khaybar, defeated them, confiscated their land and wealth, and effectively began the system of dhimmitude with the Jews who remained to work the land for the new owners. In each of these episodes, the Jews were always the “treacherous” ones according to the Muslims who told the story. At no time, however, did a Jewish tribe attack the Muslims; the reverse was true in every case. Some Jews were reportedly involved in helping defeat Muhammad, but no evidence could be found that a Jewish tribe, as a collective group, ever attacked the Muslims. The pattern goes like this: the treacherous Jews are accused of some misdeed which has little factual support; the Jews are given a chance to accept Allah and his messenger; the Jews refuse and are attacked by the Muslims who further accuse the Jews of starting a war; after several weeks of trying to defend their property and lives the Jews surrender; the Muslims either exile the surviving tribe, or in the case of the Qurayza Jews, behead the males and enslave the women and children and confiscate all their land and wealth. In every case the Muslims view the Jews as the aggressors and Muhammad and his companions as victims of such aggression. Supporting this Muslim point of view is the Qur’an. Numerous verses are sharply critical of the Jews, including Allah’s talk of terrorizing them himself and leading the charge in battle such as at Badr. Muhammad had to be quite smug knowing that Allah supported his efforts to take on the Jews. Likewise, the hadith and sira provide evidence for the aggressive behavior of Muhammad in each of these cases. Islamic supremacism for the sake of Allah permeates the early Islamic literature. A belief in this supremacy undergirds Muhammad’s rise to power. FP: So, what motivated the jihadists for the 9-11 attack? Hayden: The 9-11 jihadists believe in the idea of Islamic supremacism. They are quite serious and sincere about their faith. In their hearts and minds, they believe they are truly following in the footsteps of Muhammad, the perfect man, who simply carried out the commands of Allah through revelation. Today’s jihadists consistently refer to the Qur’an, hadith, sira, commentaries on the Qur’an (tafsir), the shari’a (Islamic law) and the military success of the first 1000 years of Islamic history to support the idea that Islam will eventually triumph over the infidel. They believe in the long view of history. September 11, 1683, is a pivotal date in Islamic history. Osama bin Laden referred to it soon after the attacks on America on 9-11. On September 11, 1683, Ottoman Muslim forces were repulsed from taking over Vienna, Austria. The attack on the World Trade Center was a Muslim jihadist way of saying, “We’re back.” To repeat: today’s jihadists are motivated because of Allah’s revelations and his messenger’s words and actions. FP: Why does our mainstream media and higher literary culture never speak a word on the things your book talks about? What are the consequences of this denial and ignorance in our culture? Hayden: Both the mainstream media and higher literary culture in the United States seem to have a penchant for believing Islam is a religion of peace. While it is probably true that a good percentage of Muslims in America are law-abiding and peaceful, my research has led me to understand that the Qur’an, hadith, sira, tafsir, and 1400 years of Islamic history can be interpreted to support the idea of Islamic supremacism and violent jihad as core Islamic beliefs. “When the Lord inspired the angels [saying to them], ‘I am with you; so make those who believe stand firm. I will throw FEAR into the hearts of those who disbelieve. Then [you angels] smite their necks and smite of them each finger’” (Qur’an 8: 12). In another verse dealing with a battle against the Qaynuqa Jews of Medina, Allah said: “So if you gain the mastery over them in war, punish them severely in order to disperse [create terror in] those who are behind them, so that they may learn a lesson” (Qur’an 8: 57). “And those of the Book who aided them–Allah did take them down from their strongholds and cast terror into their hearts, (so that) some ye slew, and some ye made prisoners” (Qur’an 33: 27). As terror worked against the Jews in the 7th century, so has it worked with our mainstream media, politicians, and cultural elites. He says America/Israel are the causes of the world’s problems; Islamic jihadists are simply fighting to make social justice a reality. The left’s romance with social justice makes them bedfellows with the jihadists. Both of them are totalitarian, against free market capitalism, and anti-liberty in their stated goals. It is easy to understand why “they never speak a word” about the contents of my book. But eventually, they too may well be in the crosshairs of the supremacists. Our culture cannot afford to remain ignorant of Islamic supremacism. The jihadists have declared America enemy #1 for Islam. Knowledge precedes understanding. FP: What are your main conclusions and what is your advice and warning for the West and its leaders? Hayden: My research of Muhammad’s relationship with the Jews of the Hejaz has convinced me that modern-day jihadists have a better understanding of Muhammad than do those who see his schtick as a man of peace. Muslim supremacists do, however, believe in peace, but they say true peace will not reign until after Islam has become supreme and Allah’s law, the sharia, is accepted all over the world. In the meantime, jihadists have the green light to create violent mayhem both in the lands of the disbelievers and against the disbelievers in Islamic lands. They use terror or a tactic to intimidate the infidel; that includes all non-Muslims and those in the Islamic fold they consider to be heretics. This presents an existential problem for peaceful Muslims. As perceived enemies of Islam and Muhammad, they too are in the crosshairs of the jihadists who recognize them as apostates from the true faith. Our political and military leaders, plus the wonks who implement U.S. foreign policy, need to drop all the political correctness and take an Islamo-Realist approach. In order to do that, they have to understand the nature of Islam starting with the birth of Islamic supremacism which began with Allah’s revelations and Muhammad’s role as messenger/enforcer of them. FP: David Hayden, thank you for joining Frontpage Interview. Israel a worse threat than the global jihad? What violence is Israel fomenting in Indonesia, the Philippines,Thailand, Kashmir, Afghanistan, Iraq, Chechnya, Uzbekistan, Nigeria, Bosnia, and elsewhere around the globe? Where are Israelis spreading an ideology that demands that its adherents subvert the states in which they live and replace their societies with a radically different social model that denies equality of rights to women and certain religious groups? Where are Israelis teaching their children that the noblest thing they can do with their lives would be to strap bombs on themselves and blow themselves up in a large crowd of unsuspecting civilians? It is in the nature of the media beast that anything that happens in or around the Jewish State gets far more attention than anything that happens throughout the rest of the region. Israel has also created a safe zone for reporters. It is one of the few places in the Middle East where reporters can write what they like without having to worry about receiving a visit in the middle of the night and a ride inside the trunk of a black car. But the time-honored obsession with Jews, which even the stiffest BBC or Guardian correspondent isn’t immune to, may also be a factor. Far more people recognize Sabra and Shatila than Hama, and if Assad survives, his current killing spree will quickly fade into distant memory by those who will go on invoking Deir Yassin as if it happened last week. No one would buy a book complaining about the Norwegians or the Syrians; and the same goes for the news stories that the media chooses to run on a daily basis. But the media’s myopic focus on Israel also distorts the coverage of the region. Like Pavlov’s dogs, reporters reflexively reduce the Middle East to a conflict between Israel and the Arabs, Jews and Muslims, the people that they hate and the people that they like. Asking them to cover anything more complicated than that is also asking them to do too much. The press handled the Arab Spring by resorting to a simple narrative of dictators and rebels. Now that the rebels have become the dictators, the men and women of the press in their pressed khakis have no idea how to cover them. Syria, where Sunnis and Shiites keep killing each other, is even more baffling to them. Even after all the revelations about the Free Syrian Army, the massacres of Christians and the flights of refugees escaping the Islamist militias, the press strains to return to its old comfortable narrative of brave rebels resisting a vicious dictator. But dictatorship is a permanent feature of life in the region. And it doesn’t matter much whether a new tyranny is reached through the ballot box or the bomb. The media is unable to reach beyond its simplistic narratives to see that it isn’t merely Gaza or Syria that are burning, but the entire Middle East. The flames of the Middle East have been lit by a larger regional struggle that has been going on, in one form or another, for generations. It’s not a struggle over big ideas, but over very little ones. Even the fighting between Sunnis and Shiites has its roots in a simple tribal dispute between the family members and successors of Mohammed. Much of the rest of the fighting comes down to equally crude tribal power struggles, which when stripped of their rhetoric, are reduced to battles over racial rivalries and clan ambitions. After the Arab Spring, the Middle East is far more polarized and on edge than ever. A Post-American Middle East has become a much more dangerous place with little to keep Sunnis and Shiites from battling to the death over the region. Obama’s premature withdrawal from Iraq tipped that country into the Shiite camp, next to Iran and Syria. Not satisfied with that, his intervention in the Arab Spring tipped Egypt, Libya and Tunisia into the Sunni Islamist camp. Both sides are now playing for Syria, in what is being described as a rebellion, but is actually a repetition of an old religious war. The Syrian Sunni Jihadists and the Syrian Alawite government are proxies for the larger Shiite and Sunni powers hoping to remake the region in their own image. Whichever one of them wins, the conflict will be far from over. Wars never really end in the Middle East, except with massacres, and as long as there are any survivors left, then the old rivalries will flare to life again sooner or later. The Muslim world is not terribly good at fighting wars. Certainly not wars of the modern kind. But it is quite good at supplying insurgencies and finding bands of fighters willing to engage in hit and run attacks. With many of the insurgents and factions switching sides more often than the wind changes, all the elements for an endless war are already in place. Sunni and Shiite militias are already pouring into Syria. But Syria is only the appetizer for the main dish on the menu. Iraq. During the Iraq War, Syrian fighters were crossing into Iraq. These days’ Iraqi fighters are crossing into Syria. But it can just as easily switch around again. A decade of wars has built up a sizable reserve of Jihadists eager and willing to go anywhere for a fight. Iraq has a sizable amount of oil wealth and is a much sweeter prize than Syria. And despite the media’s refusal to cover anything that doesn’t have the word “Israel” in it; the Iraq War never ended. Instead Maliki is uncomfortably at odds with the Sunnis and Kurds, and the real fighting is likely to begin soon enough, even not counting the usual bursts of Al Qaeda terror. Iraqi Jihadists found their way to Libya during the Benghazi attack. Now Libyan Jihadists are headed over to Syria. If Syria dies down, they will move on to the next conflict. This reserve of fighters, funded by oil money, is the single biggest development in the region. Each war inflates their totals and their availability starts new wars. The media insists on trying to see regional developments through the familiar lens of democracy, but in a region separated by inflexible differences, democracy is only another tool of power, no different than the suicide bomber or the massacre. Democracy in the Muslim world is nothing but a means of majoritarian supremacy, not a new stage of moral and political development. Through a Western lens, a democratic election is a form of progress, but through an Eastern lens it is a means for the majority to assert its power over the minority, leaving the minority with few options but to flee or turn to violence. That is what we have seen throughout the region after the Arab Spring. Democracy in the Middle East is not a sign of progress, but a precursor to violence, which is exactly what is coming about in Egypt and Tunisia. An election, like a suicide bombing, is a warning that a power struggle has broken out and that the outcome will not be pretty. 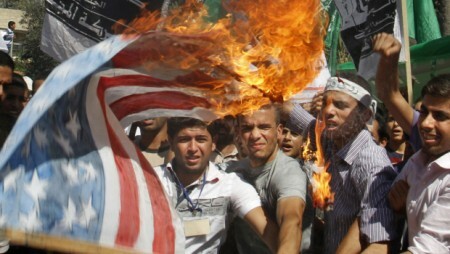 The Middle East is burning and the bright flares of the rockets rising over Gaza are only sparks of a hotter flame. The flame is meant to fill the power vacuum left behind by a decadent American policy of soft power. And rather than calming the Arab Street, Obama’s Post-American policies have lit its fuse and set it to blow. Frontpage Interview’s guest today is Andrew G. Bostom, the editor of the highly acclaimed The Legacy of Jihad: Islamic Holy War and the Fate of Non-Muslims and of The Legacy of Islamic Antisemitism: From Sacred Texts to Solemn History. He has published articles and commentary on Islam in the Washington Times, National Review Online, The New York Post, The New York Daily News,Frontpagemag.com, American Thinker,Pajamas Media, The Daily Caller, Human Events, and other print and online publications. He is the author of the new book, Sharia versus Freedom: The Legacy of Islamic Totalitarianism. Visit his blog atandrewbostom.org/blog/. Allah’s law is not to be penetrated by the intelligence . . . i.e., man has to accept it without criticism…It comprises without restriction, as an infallible doctrine of duties the whole of the reli­gious, political, social, domestic and private life of those who profess Islam, and the activities of the tolerated members of other faiths so far as they may not be detrimental to Islam.Additionally, Schacht elucidated how Sharia—via the uniquely Islamic institution of jihad war—regulates the relationship between Muslims and non-Muslims. These regulations make explicit the sacralized vulnerability of unvanquished non-Muslims to jihad depredations, and the permanent, deliberately humiliating legal inferiority for those who survive their jihad conquest, and incorporation into an Islamic polity, governed by Sharia. Following violent Muslim reactions to the amateurish “Innocence of Muslims” video, which depicted some of the less salutary aspects of Muhammad’s biography, international and domestic Islamic agendas are openly converging with vehement calls for universal application of Islamic blasphemy law. This demand to abrogate Western freedom of expression was reiterated in aparade of speeches by Muslim leaders at the UN General Assembly. The US Muslim community echoed such admonitions, for example during a large demonstration in Dearborn, Michigan, and in a press release by the Islamic Circle of North America. The court enforced a Pakistani Sharia court’s judgment of custody in favor of the father even though the mother had argued that she was not provided due process because had she gone to Pakistan to contest the case, she could have been subject to capital punishment for having a new relationship with a man not sanctioned by Sharia. The Maryland appellate court ruled that since the woman could not prove she’d be executed had she gone to Pakistan to litigate custody in the Pakistan Sharia Court, which is a national-state court in Pakistan, her failure to go to Pakistan and take the risk of execution precluded her from making the void as against public policy argument. ALAC would have provided the Maryland appellate court the legislative clarity to have reversed the lower court’s outrageous decision (emphasis added). Finally, as reported by the Investigative Project on Terrorism, the Islamic Circle of North America (ICNA), one of the largest mainstream U.S. Muslim organizations, in its 2010 ICNA Member’s Hand Book, openly acknowledges being the American branch of a global jihadist phenomenon referred to as the “Islamic Movement.” The 2010 Hand Book observes that branches of this movement “are active in various parts of the world to achieve the same objectives. It is our obligation as Muslims to engage in the same noble cause here in North America.” These efforts will culminatein the (re-)creation of a transnational Islamic superstate, the Caliphate, under Sharia law — the united Muslim ummah (community) in a united Islamic state, governed by an elected khalifah in accordance with the laws of Sharia. However, being a champion of the “postcolonial,” pseudo-academic drivelpopularized by the late Edward Said, Hallaq, as an axiom, of course blames Western imperialist bogeymen, almost exclusively (if mindlessly) for this intrinsic Muslim—and Islamic—Sharia “revival” phenomenon. When also lamenting the extent to which such an Islamic revival could adopt “indig­enous modernism,” Hallaq, rather perversely, again indicts so-called Western colonial “hege­mony”—not the intrinsic totalitarian nature of the Sharia itself. Former Speaker of the House Newt Gingrich delivered a singularly astute and courageous address July 29, 2010. Reactions to that speech across the political spectrum (here, here, here, and here) whether immediate or delayed, illustrate the contemporary equivalent of what Conquest appositely characterized asmindslaughter—a brilliantly evocative term for delusive Western apologetics regarding the ideology of Communism and the tangible horrors its Communist votaries inflicted. What did Newt Gingrich have the temerity to discuss? In defiance of our era’s most rigidly enforced cultural relativist taboo, Gingrich provided an irrefragably accurate, if blunt, characterization of the existential threat posed by Islam’s living, self-professed mission—to impose Sharia, its totalitarian, religio-political “law,” globally. Bostom: Now 96 years old and still active, multiple deserving tributes to Bernard Lewis’ career as a scholar, and public intellectual, were written in celebration of this remarkable nonagenarian (see here and here, for examples), coinciding in 2006, with his 90th birthday. I began expressing my concerns with Lewis’ scholarship in a lengthy review-essay (for Frontpage) on Bat Ye’or’s seminal book Eurabia—The Euro-Arab Axis, published December 31, 2004. Over the intervening years—in the wake of profound US policy failures vis a vis Islamdom at that time, and subsequently, till now—this disquietude has increased considerably. As I demonstrate in Sharia Versus Freedom, Lewis’s legacy of intellectual and moral confusion has greatly hindered the ability of sincere American policymakers to think clearly about Islam’s living imperial legacy, driven by unreformed and unrepentant mainstream Islamic doctrine. Ongoing highly selective and celebratory presentations of Lewis’s under­standings—(see this for example) —are pathognomonic of the dangerous influence Lewis continues to wield over his uncritical acolytes and supporters. Writing contemporaneously elsewhere, Lewis concedes that (with the possibleexception of Turkey), following the era of the French Revolution, 150 years of prior experimentation with Western secular sovereignty and laws in many Islamic countries, notably Egypt, had not fared well. 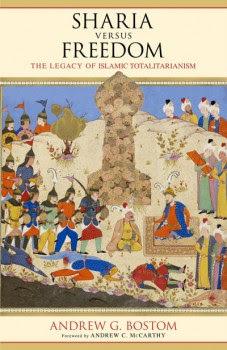 To combat warped, Islamophilic educational indoctrination at the high school, community college, and freshman/sophomore major college levels, families/students should purchase the single volume Shorter Encyclopaedia of Islam (also reproduced and available as The Concise Encyclopedia of Islam). The Shorter Encyclopaedia of Islam remains an unequaled—and unbowdlerized—reference work, which includes all the articles contained in the first edition and supplement of the nine-volume classic Brill Encyclopaedia of Islam, pertaining, in particular, to the religion and law of Islam. Finally, when opposing jihadism overseas, American policymakers must radically alter their See No Islam/See No Sharia mindset, and heed the lessonsof Japan’s World War II era defeat and reconstruction. Central to both efforts—first defeating, and then reconstructing Japan—was a complete delegitimization and disenfranchise­ment of Japan’s religio-political state religion, post–Meiji Restoration (1868) Shintoism. Our policymakers ignoredthis paradigm in Afghanistan and Iraq, midwiving illiberal Sharia states, allied with their axis of jihad co-religionists from neighboring Pakistan and Iran, against the US. FP: Andrew G. Bostom, thank you for joining Frontpage Interview.